Congressman Kevin Yoder, pictured speaking in Lawrence last June, is now one year into his first term in Congress. Political observers say he is poised for a long political career. Yoder himself says he is focusing on areas where Republicans and Democrats can agree. U.S. Rep. Kevin Yoder was about as prepared as anyone could be when he entered the House of Representatives last year. He studied political science, graduated with a law degree and served four terms in the Kansas House. But his first year in Congress still brought surprises. 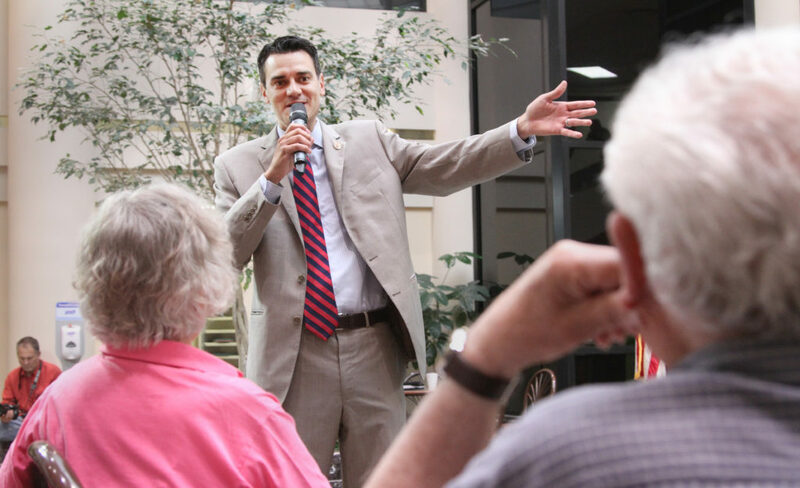 One year into his two-year-term, political observers say Yoder is poised for a long political career, one that could include a House leadership role or Senate seat. “I think the chance that Kevin Yoder will eventually exert significant influence in Congress is fairly strong,” said Burdett Loomis, a professor of political science at Kansas University. In some ways, Yoder has kept a low profile during his first year in Congress. Yoder has steered away from the controversial and has voted largely with his party. He has spent time back in the 3rd District and taken many meetings with his constituents. And he landed a prime committee assignment, one of just three freshmen to be appointed to the powerful Appropriations Committee. “What he’s doing now is solidifying his base at home and in Washington,” Loomis said. Scholars have called the current Congress the most divided since the Civil War, but Yoder is optimistic the two parties can find common ground. He said most Americans — regardless of party — agree national spending is a problem, and job creation must be a priority. “I’ve tried to use my energy to find solutions to problems and focus on what we can agree on,” Yoder said. Yoder has voted with his party 94.1 percent of the time, according to an analysis by the nonpartisan group OpenCongress. On some issues, though, Yoder has stood out. During last summer’s debt crisis debate, he was one of 22 House GOP members who defied Republican Party leadership and voted against raising the debt ceiling. House Speaker John Boehner championed a bill that would have raised the ceiling in exchange for $900 billion in spending cuts, and he chastised noncompliant Republicans such as Yoder on the House floor. “We were certainly getting a lot of pressure from the Speaker of the House, from Republican leaders, to vote to raise the debt ceiling,” Yoder said. He and most of the others didn’t budge. Yoder said the nation could no longer afford to keep borrowing. Yoder is also one of six House GOP members who has not signed the Taxpayer Protection Pledge, a document championed by conservative Washington activist Grover Norquist. Signers promise to oppose any increase in taxes, unless offset by spending cuts. Norquist publishes a list of nonsigners and has punished some of them by backing other Republicans in primary battles. Yoder said he did not sign the Norquist pledge because his duty was to his constituents and the Constitution. “You have to listen to all opinions, study the issues and ultimately come to a decision based on your conscience,” Yoder said. In 2010, Douglas County voters cast nearly twice as many ballots for Yoder’s democratic opponent, Stephene Moore, than they did for him. Yoder said the more liberal politics of Lawrence do not bother him, because he values representing people of diverse opinions. 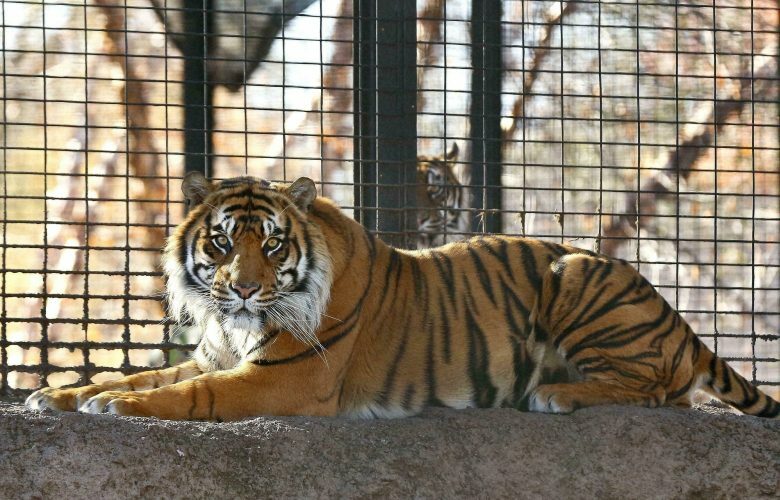 He also loves representing Kansas University. It is unclear how much of Douglas County will remain in the 3rd District after the Kansas Legislature completes redistricting this year, but neither Loomis nor Lynch thinks a Democrat will pose a serious threat to Yoder’s re-election in November. “I think he would be more concerned with far right, Tea Party-supported opponent,” Lynch said. No opponent has yet surfaced. As for this session of Congress, which started last week, Yoder would like to see more long-term planning, rather than more stimulus bills and what he called short-term measures.